The information you are about to read is a declassified report from the commanding officer of the U.S.S. 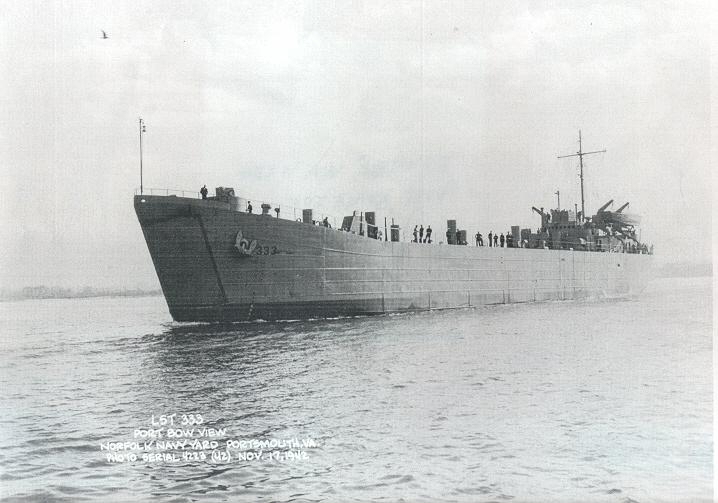 LST 333. It is intended for educational purposes and is copied in its entirety. To : Commander in Chief, United States Fleet. Via : (1) Commanding Officer, U.S.S. Thomas Stone. (5) Commander Amphibious Force Atlantic Fleet. (B) Statements of Key Survivors. 1. At Approximately 1915 hours, CGT, on June 22, 1943, this vessel, while steaming in Convoy Elastic, en route from Arzew Algeria, To Bizerte, Tunisia, was on course 080 oT, speed 6.5 knots. The position was Lat. 37 degrees 59' 30" North, and Long. 4 degrees O1' 30" East. The sun had just set and visibility was excellent. At this time a terrific concussion on the starboard side of the stern. This was followed by a sharp surge of the stern which may have been a second concussion. There was no water spout and no flash. There was, however, sulphurus fumes and smoke. No after burning evidenced itself on the surface. 2. The explosion demolished the stern section aft of frame #48, the main deck remaining intact. The screws and rudder were carried away, and the engines stopped. The damage on the second deck extended forward to frame #48. On deck the 3"/50 caliber gun platform was tilted upward at its after end, and the stern anchor engine had been forced upward against the gun platform. The crew's quarters was a shambles of bent steel and flesh, with a fifteen-foot hole leading into the space that was formerly the steering engine room. this section had been completely blasted away, and the main sections of the steering wheel blown into the port side at frame #30, and thwart ships across the entire port side at frame #27. Although thee was an appreciable hole blown at the corner of the freight hatch, port side at frame #28, the hatch itself did not evidence serious damage. The auxiliary engine room filled with fuel oil and salt water in approximately eight minutes. An inspection at the time showed fuel oil and sea water coming out of the port escape trunk and apparently from a broken salt water cooling line. Since A-422-F was the only fuel tank which contained sufficient fuel to fill the engine rooms, the bulkhead between this trunk and the auxiliary engine room must have collapsed. The main engine room was not immediately flooded and both engines were in running condition, but were stalled due to the damage to the propellers. Later, however, the main engine room flooded because of an open seam to the auxiliary engine room and other leaks. 3.This officer was on the bridge at the time, and was hurled forward at a distance of twenty feet. I regained my feet by pulling myself erect with the hand rail, as my legs seemed paralyzed and my senses did not seem to function properly. Everything seemed vague and remote. Smoke and fumes appeared to envelop the ship from frame #40 aft. I am told I ordered the after magazines flooded, but of this I have no recollection. 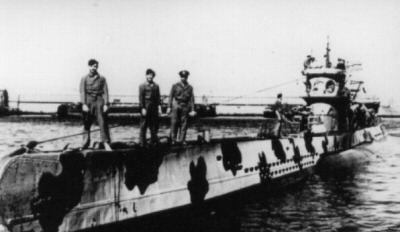 I grasped that the LST #387 had been hit and searched the scene for submarines and planes, but saw no evidence. All forward guns were intact and the crew remained at their posts, but the gun crews on the 3"/50 caliber gun and the two after 20/MM were killed or knocked out. Approximately two minutes had then elapsed, and my head was clearing when ship's officers reported to me for instructions, as the phone system had gone out. A rescue detail was organized to work with the damage control party, and we began removing the injured and dead from the damaged area. as this was going on, and in a period of about ten minutes, I gained control of my legs which, though numb, permitted me to carry on my duties. 4.The principal causalities occurred to the ship's Company with 16 dead, 1 missing and 31 injured. A final check on the passengers indicates 5 dead, 3 missing, and 24 injured to be exact. This of an original Ship's Company of 77 and a passenger list of 211. 5. About twenty minutes after the explosion occurred, the L.C.T. 's #244 and #19 came close in and stood by to render assistance. The Commanding Officers of these craft informed me that they had observed torpedo tracks heading for the #333 and the #387 on a course of about 030 oT. These tracks were not seen by any person on the #333, although all guns were fully manned and lookouts posted. I have over twenty years of active service, some of it on submarines and, though I was looking in that general direction, I observed nothing. **** My personal thanks to Captain and Mrs. Jerry Mason, U.S.N. (ret.) for their allowance to use this material for Harv's site. 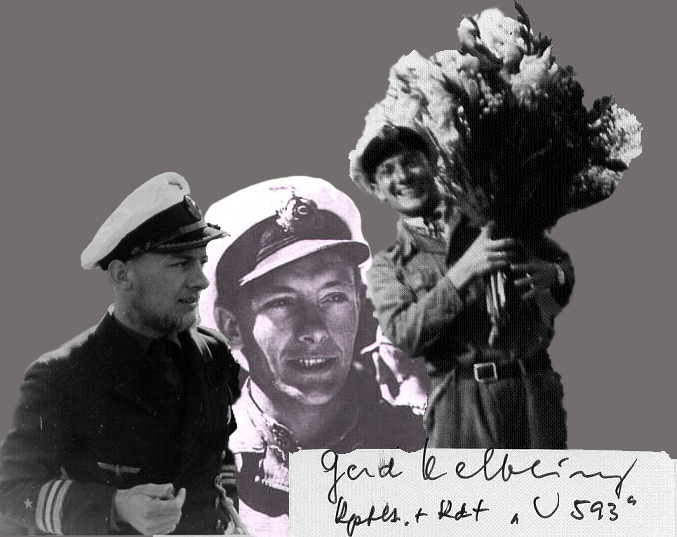 They have a website at: http://uboatarchive.net. I would advise ANYONE interested in this or related subjects to visit this site, as it is an outstanding place for studies on the UBOATWAFFE!